I can’t remember when it was that I first heard Nazia Hassan’s voice. You could say I came out of the womb with the lyrics to Disco Deewane and Aap Jaisa Koi memorised. I grew up in London more than two decades after she first appeared on the scene. It was here — in London — that her star began to rise. As I musically came of age some years ago, Nazia's eclectic sound permeated my taste. In an effort to aurally classify the genres I was exposed to, I wasn’t able to place her in any distinct category. Her brand of pop was unlike the Belinda Carlisle anthems of love on the mixtape my sister and I obsessively listened to, or the Abrar-ul-Haq cassettes my father kept in the car for long road trips. Her songs bore little resemblance to the Bollywood ballads of the early 2000s (more often than not, from romcoms starring Uday Chopra or Vivek Oberoi), and were a world away from the post-Britpop scene that filled my childhood with moody tunes and pensive boy bands. There was something inherently Pakistani about Nazia and Zoheb. Yet, there existed an otherworldly element in their music that caught native ears accustomed to Noor Jehan or Farida Khanum completely off-guard. For me, Nazia existed at a juncture, where the two worlds I occupied, neatly and perfectly, overlapped. She bridged the chasm between my understanding of the old country — that strange and romantic land constantly inhabiting my family’s imagination — and the cultural immediacy of my surroundings at home in Britain. In life, she was feted as the queen of a new movement in Pakistani music. In death, she continues to inspire. But to pigeonhole and remember her solely as a singer does not do justice to her legacy. No, Nazia Hassan was so much more than her voice. In the beginning, there is Karachi, and Sohail Rana. Nazia was born in the city by the sea, in April of 1965. She was the first child of Muneeza and Basir Hassan, followed by a younger brother Zoheb and a younger sister Zahra. Zoheb tells me that Nazia was quiet by nature, but when it came to singing, she would shine. "A star, from day one," he says. When both brother and sister were taken to Sohail Rana’s PTV children’s program for an audition, the composer told their mother: "Nazia is perfect…Zoheb looks nice, but he can't sing." (He failed the audition because he refused to sing). "I was an introvert, not into music at all," he remembers. It was Nazia’s coaxing that eventually convinced him to join her on the show. Soon, the Hassan siblings were sent to England to live with their grandmother and uncle. In Manchester, they discovered a vibrant music scene, and, by consequence, pop and rock music. When they were caught in their uncle’s room with his guitar, he encouraged them to play, ultimately giving it to them a month later on Zoheb's birthday. It was on that guitar that they started writing music. The siblings were inspired by the likes of Johnny and Marie, Jackson 5, The Carpenters. Around the time they met Indian composer Biddu, who propelled Nazia to the ultimate heights of fame with Aap Jaisa Koi. The brother and sister duo were already writing songs that blended the pop and rock of their Western surroundings, and the beats and sounds of their Eastern upbringing. Without knowing it, the two were well on their way to becoming the world’s first fusion artists. Then, there was a dinner party in London. Zeenat Aman, who had already heard Nazia, introduced the siblings to Vinod Khanna and Feroz Khan. "This is the voice I’ve been looking for!" But Muneeza and Basir were initially not too keen on letting their daughter sing for Qurbani because it would take time away from her schoolwork and exams. Eventually, they agreed, and Nazia took one day out over the weekend to record Aap Jaisa Koi. "Yes some people don’t even consider it music; well it’s the kind of the music we dig, take it or leave it. They say classical music is the only real music. Whenever I’m attending a classical music recital, I feel like I’m attending a funeral. You have to sit grim and still — no coughing, no talking lest people think you are being impolite." The fusion sound that came naturally to Nazia and Zoheb was subject to intense scrutiny in the early years. The old school didn’t like it because it couldn’t understand it, Zoheb believes. Eastern melodies with Western orchestration did not go over well with the academy. But even more than the music itself, the pair came under attack for offending certain local sensibilities. "See, the thing is, we never pretended to be somebody we were not. We were Pakistani, we were very rooted," Zoheb says. "It’s just that when we came to London, we imbibed that other culture at the same time. It wasn’t a commercial stint either, like, for the sake of commercialism we were trying to act Western, or trying to do something which was not us. It was us." Things, however, got out of hand. Effigies were burnt, fatwas were passed. With less going on politically, Zoheb tells me, “[the mullahs] needed a scapegoat situation, and they thought who better than this brother and sister, who the whole nation is watching…[they thought], this will really get people’s interest, and they can twist it and turn it, redirect it to their cause. It was unfortunate, but at the end of the day, you can never put something down which the people themselves want. The masses loved it. They understood it." Yet, support and advice came from the man occupying the highest office in the land. "[General Zia] called us at home, and said: 'Nazia and Zoheb...bachon, aap log nikal jain,'" Zoheb remembers. "We were so young, we hardly knew anything, we were literally babes in the world — not that young, but very naive. So I think he felt a bit protective, and he told us to leave [the country], which I think at that time was the best thing for us to do." With fatwas and effigies behind her, Nazia persisted. In this way, she was at the forefront of a culture war, one fought not only between highbrow music aficionados who turned their noses up at fusion music, and those willing to accept the joie de vivre that the two teenagers espoused in their songs, but also one between religious zealots and the rest of the nation, who wholeheartedly embraced her edgy beats. What was perhaps most striking about the Nazia and Zoheb phenomenon, was the pair’s ability to convey the frustrations, desires, and aspirations of a whole generation of young people growing up in the 1980s. 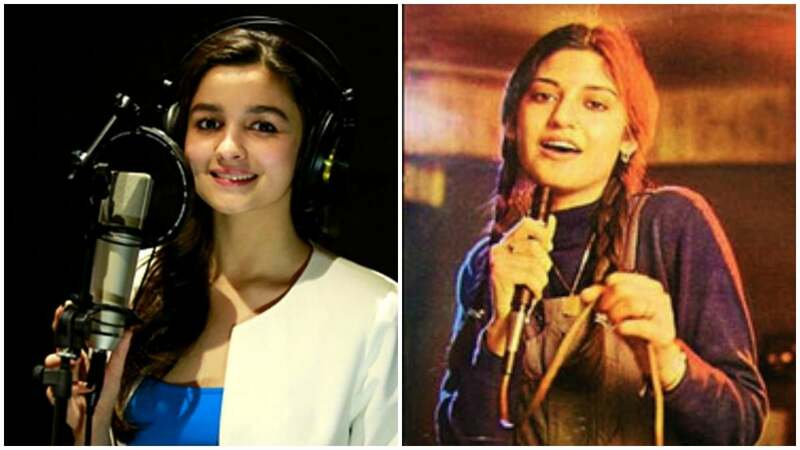 Within that polarising cultural environment, the two emerged as youth icons — our very own Beatles, minus the crazy haircuts. They were radical, profound, a summation of our potential: who we could be as a nation, and all that we already were. At the height of their success, the siblings had seven number ones in South America, where they were outselling artists like Duran Duran. In the Soviet Union alone, the two sold almost 250,000 records. When they were signed on by EMI World, the CEO told them, "I can’t understand your music, I can’t understand the language, but it’s selling by the truckloads." Nobody could understand the mass appeal of Urdu pop. During the apartheid in South Africa, the pair were one of the first non-white bands to have a song reach number one on the charts. "[We were] invited by some very big companies at the time to sing for Nelson Mandela," Zoheb tells me. "We didn’t know who he was, but there was a lot of acceptance for this [type of music] worldwide." At home, the success of the siblings created not only a sense of newfound respectability towards, and awareness of the music industry as a worthy field, it offered validation to stifled youngsters disillusioned by limited creative opportunities. Doctors suddenly picked up guitars; bands in urban centers mushroomed. If Nazia and Zoheb can do it, people thought, then so can we. For the first time, "young people felt like they had music of their own," Zoheb says. "[They said] it is our own music, in our own language, and we love it, and it’s cool also. They wanted something to be cool, and they wanted something they could also be proud of." The Hassans also did their part to promote the careers of artists who emerged during this new wave of pop. 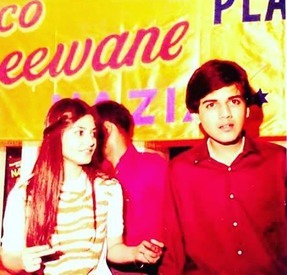 In the twilight of their career together, Nazia and Zoheb performed at the Music 89 show, where they introduced singers like Ali Azmat and Junoon. But when they realised that they were eclipsing the newcomers and being given preferential treatment, Nazia put her foot down: "It’s not on. I’m not going to sing in a program like this. Everybody should be together; everybody should be equal. That’s my prerequisite, if it’s not done that way, I don’t want to do it." "They didn’t even give them a hotel room," Zoheb remembers. "They only gave it to us, but Nazia insisted that everybody should get a hotel room, everybody should get the same treatment. She was a real advocate for [people’s] rights. Maybe that’s why she did law, later on in her life." Listening to her music now, one is struck by its timelessness. Telephone Pyar, Koi Nahin, Aankhein Milaney Waley, and countless other songs that the siblings sang together, are best understood as expressions of young love, youthful defiance, staunch individuality. Pakistan and the rest of the world has changed since the 1980s, but there is something hauntingly eternal about the music she created. London, where part of Nazia’s story began, is also her final resting place. The Hendon Cemetery and Crematorium is in a quieter part of the city. It is leafier, suburban, slightly removed from the tachycardia of London’s chaotic heart. 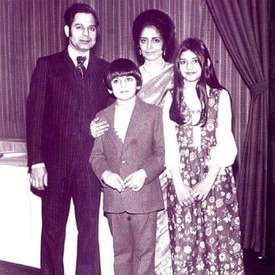 "IN LOVING MEMORY OF NAZIA HASSAN — Loving daughter, sister, and mother. Beloved and cherished by millions of people. Died in her youth. August 13th, 2000." At the end of my conversation with Zoheb, I recall an interview Nancy Sinatra once gave, in which she described how it still hurts to hear her father’s voice. It brings back too many memories, is difficult to process, the experience rendered even more painful by the ubiquitous and enduring nature of Frank Sinatra’s music. "It’s like constantly being bombarded, like somebody putting their fingers in the wound. No, it’s not easy." Indeed, one doesn’t have to look too far for that immortal baritone voice, constantly poking out from the covers of commemorative magazine issues, or emerging from overused archival footage in documentaries and newsreels. It is the vocal currency of 20th-century American cultural life. It is resonant, it is everywhere. To myself, I wonder if Zoheb feels the same way, or if 16 years since her passing has assuaged the grief of losing his sister. As we say goodbye, he tells me that it now feels like everything happened over the course of a few days, that, in hindsight, it was an amazing journey. But there are some things he would change, redo, if given the chance. "I would bring her back. That’s the first thing I would do," he says. "Dil ko kaisay ab samjhaon yaadein chor dey?" How can I tell my heart to move on, to leave its memories behind? —Kya Hua (Young Tarang, 1984). Today marks the 52nd birth anniversary of Nazia Hassan. This piece was originally published on [Images] in August 2016. 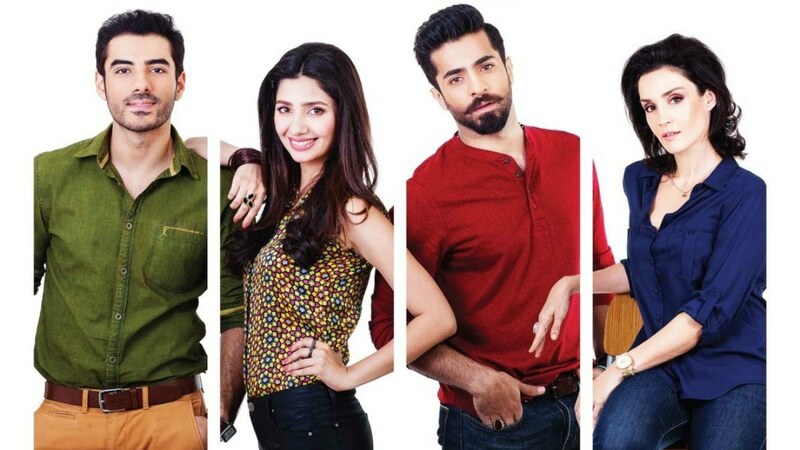 Is Ho Mann Jahaan helping soundtracks in Pakistan reach a new high? 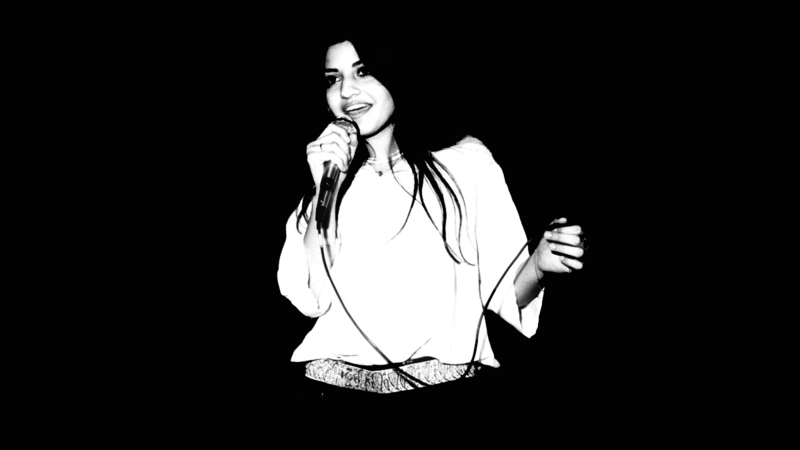 new music, new audience --- Nazia Hassan forgotten ! The best moment of my life was a ride in Lahore Pearl Continental elevator with Nazia Hasan. I was shell shocked with her strong presence. 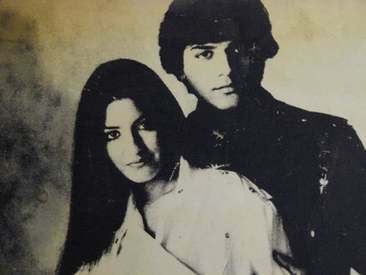 Nazia and Zoheb Hassan gave birth to modern Pakistani pop music. When all is said and done it will point right back to them with Nazia Hassan in particular. Their music is for eternity.